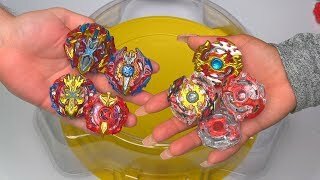 We recently unboxed Random Booster volume 8 with Shelter Regulus and got a couple more recoloured plastic gen remakes. We wanted to have another sick battle with these remakes and put them up against each other, officially! 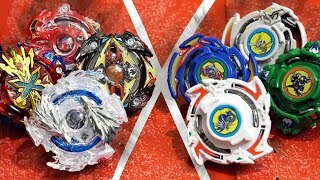 We’ve seen Dragoon, Driger, Dranzer and Draciel go up against other Burst Beys and they struggle sometimes. Their performance seems a bit more even when you put them up against each other. Should we battle the other recoloured versions that we got? Which is your favourite out of the 4 original saints?! 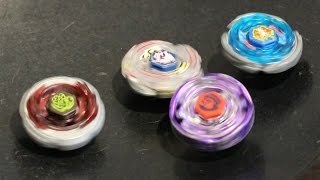 Beyblade Burst SPIN EMPERORS VS BLADEBREAKERS (Burst Remastered Ver.) Original 4 Saints! 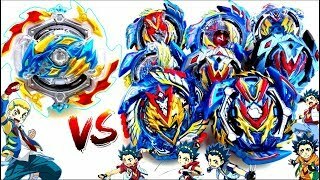 Earth Eagle vs Lightning Ldrago vs Strom Pegasus vs Rock Scorpio! 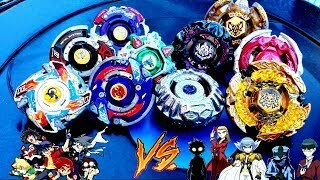 Metal Fight Beyblade 4 Way Battle! MUST SEE! 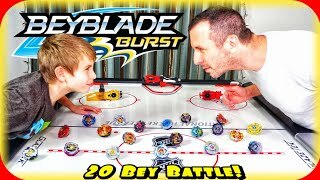 Beyblade Burst 20 Bey Battle Royal on Air Hockey Table! It's about to get CRAZY in Here!